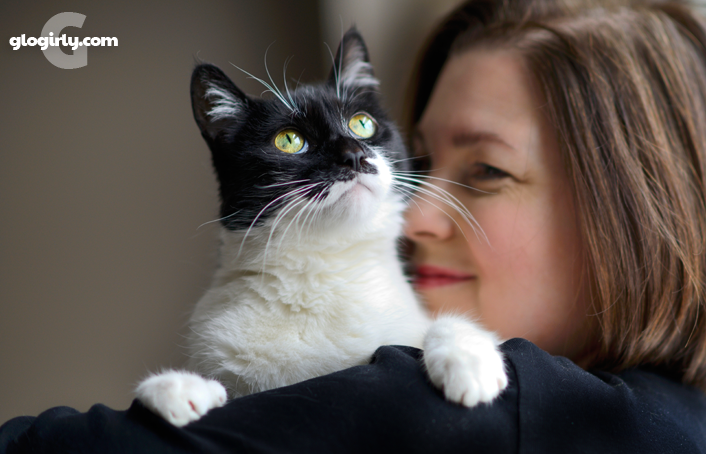 WAFFLES: Before I fell in love with chickens, my first true love was a grey mouse. KATIE: So what happened to the mouse? WAFFLES: Well first I ate his tail. Then his eyes fell off. And he got really skinny because every time we played, he'd lose a little more of his straw stuff. But I still loved him. Who was your first true love, Boss? KATIE: My first true love was Glogirly. I think we knew from the moment we met we had something really special. WAFFLES: Well it's a good thing you didn't eat her tail, Boss. And she's still got her eyes, so that's good too. But she doesn't really get any skinnier when we play. KATIE: Well the skinny thing probably has more to do with jelly beans than anything else. But even if she lost her eyes or her hair fell out, she'd still be our girl. And we'd still love her. That's what it's all about, Waffles. That's what it means to have a forever home and a forever family. WAFFLES: Forever? That's a really long time, right? You can enter the contest too! It's super simple. 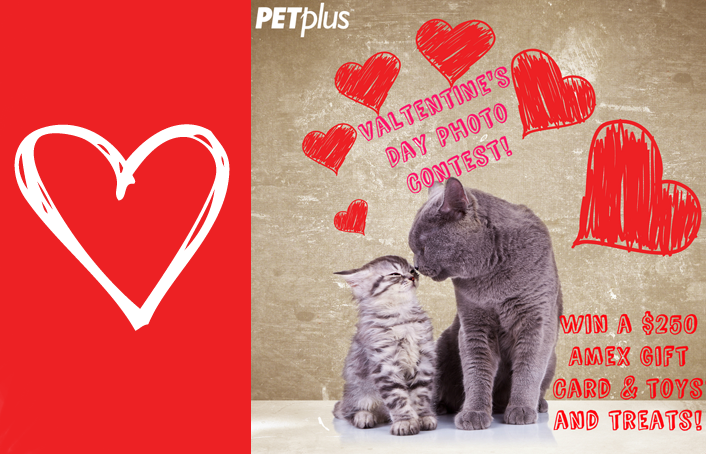 Just submit a picture of you and your human showing each other some love. There will be one grand prize winner and two runners up. But hurry, the contest closes at 5pm EST, Valentines Day. 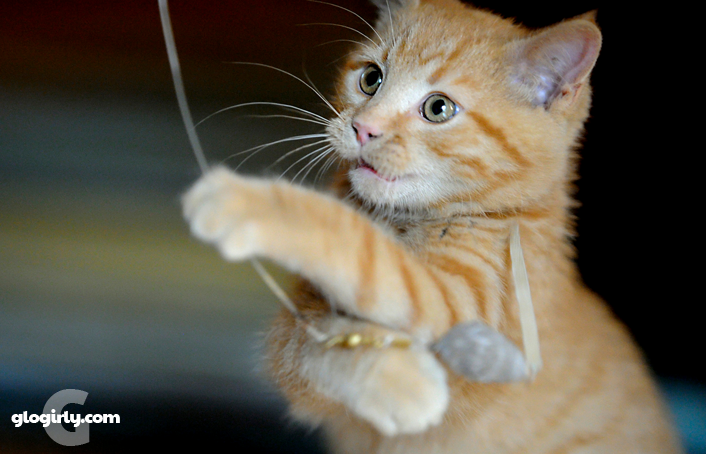 Let's spread some smiles to kitties waiting for forever homes. 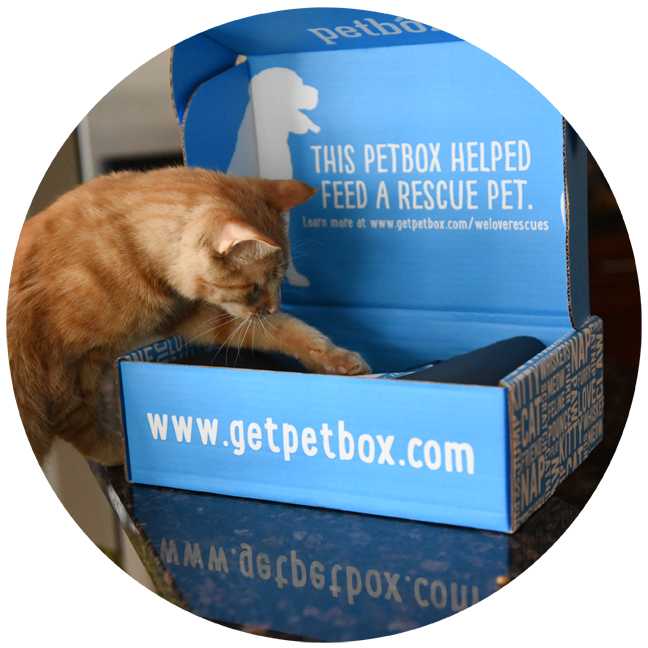 Enter to win a PetBox of goodies for your favorite rescue shelter. Seriously, could you guys get any sweeter??? Awwww, how sweet. We voted for you. I think my first true love is competing in cat shows... but my human's the one who takes me to them, so she's A-Okay in my book! I think my furst luv wuz food. Still numero uno. You and Katie are a perfect match! Love the photos!! Love the pics!!!! Soooooo sweet!!!! Aw, that's just the sweetest! No apology needed - we love being fussed over - NOT! but we will show you we like you every now and then. So I guess Valentine's day is a good excuse. 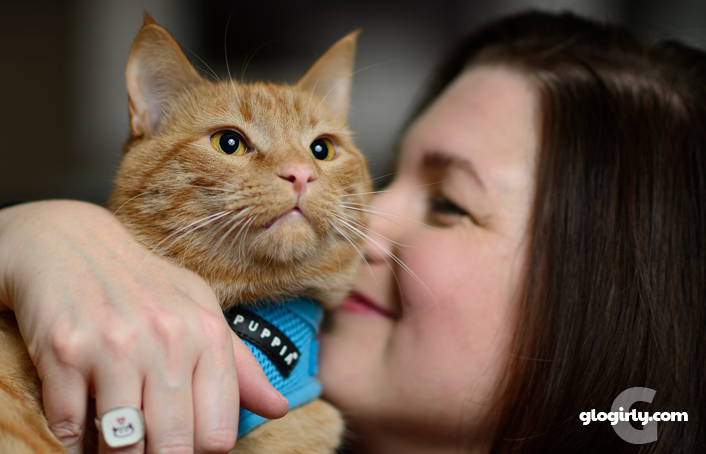 So sweet :) Love the kitten photos of Waffles and Katie - absolutely adorable! Every time I see you two as kittens..I kinda melt..and smile alot..of course I voted for you Katie! I love the mushy and these photographs. That mouse toy is the Go Cat wand toy and our Mickey Mouser has also loved them to nubbins. We must be on our 10th or 12th one. The cats at PAWS are also big fans. You can't leave them out after play sessions. stop making my eyes leak..
that was such a sweet post!!!!! Love it! Looks like love at first sight. Such cuties. Liked your photo in the contest. Good luck. I had a white mouse that I loved. First, he lost his eyes. Then eventually his tail so he was just a white body that I would play with every single day. Eventually his coat came off, and he was simply a mouse shaped piece of cardboard. Z-Girl says that's what happens when a mouse is batted underneath the refrigerator and the stove too many times. Anyway, we still called him White Mouse. He's no longer around. I think he fell victim to the Vacuum Cleaner. I don't think he's my first love though. Z-Girl is, and I snuggle with her every day so she doesn't forget. I was rescued very close to Valentine's Day so it is an important anniversary. Enjoy all the love! Aw, you two are so sweet. We can definitely feel the love. :) Hugs and smoochies! Yeah, furever is a long, long time. But when you are with the ones you love, it doesn't seem like a long time. Awwww, Pop will always be my true love. You guys made typist cry!! We love your photos, all of them, and are totally comfortable with a bit of mushy! Happy Valetine's Day! Maxwell: Katie, I'm with you. The first night I was with Momma, I slept next to her heart. I've been there ever since. Faraday: Gack. I'm wif YOU, Waff. Wand toys ROCK! Did you win? We were invited to join the contest but not until two days before it ended. All of these photos are so precious and really show the love you all share. It warms our hearts. XOCK, Lilly Olivia, Mauricio, Misty May, Giulietta, Fiona, Astrid, Lisbeth and Calista Jo.